There are many sources of light, but only lasers produce coherent light. Coherent light waves are aligned and traveling in synchronicity, meaning it is highly focused and very little energy is lost. Laser light is needed to penetrate the scalp deep enough to reach the base of a hair follicle. No other light source (such as LEDs) can achieve this. By directly treating the base of the hair follicle, our proprietary cold laser technology ensures that the hair follicle is stimulated, producing cellular energy that allows the follicle to heal. 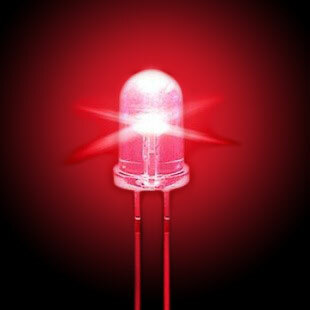 To learn more about Lasers vs LEDs, click here. Laser diodes focus energy in a single direction. 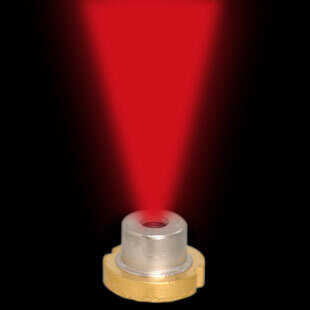 LEDs diffuse the energy, spreading unfocused light in all directions. Cold Lasers (also known as low level lasers) produce no heat. This is because they only output a few mW (milliwatts) of energy rather than hundreds of Watts like ablative lasers. Cold lasers that use a wavelength of 650nm have been clinically proven to have a healing effect on the body, causing an increase in cell activity. Cold lasers produce no heat, no pain, and have no side effects. Different wavelengths of light have different effects on human tissue and can reach down to different depths. Hair follicles most efficiently absorb coherent laser light at a wavelength of 650 nanometers (nm), which is in the red color spectrum. Red Laser Light has been clinically proven to have a healing effect on human tissue and hair follicles. 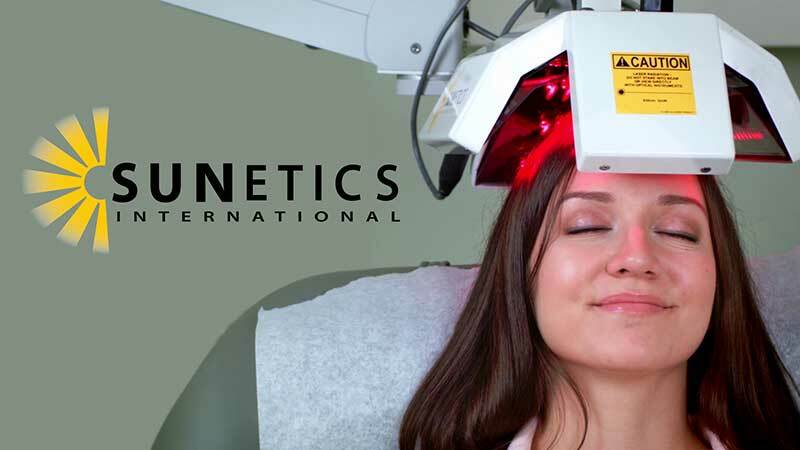 The Sunetics proprietary laser diodes use the power of red laser light at an optimized wavelength of 650 nm, the ideal wavelength for clinical strength hair rejuvenation. The Sunetics Clinical Laser uses proprietary laser dispersion technology to allow full coverage of the scalp. All other laser devices use standard laser diodes that have a “rifle” effect. What that means is that the laser diodes emit light in a small collimated beam, making only small dime-sized spots on the scalp. 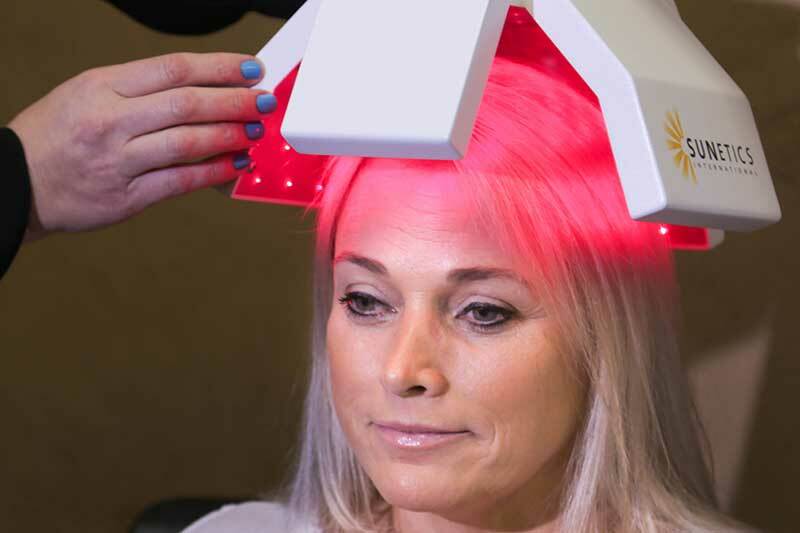 Many laser devices try to overcome this effect and saturate the scalp by either adding LEDs to the device (giving the appearance of full coverage) or by increasing the number of diodes (over-saturating the scalp with energy). The Sunetics Clinical Laser uses proprietary dispersion technology which has a “shotgun” effect. The Sunetics Laser Diodes feature an opened beam that spreads the laser energy across a larger surface area, allowing for maximum coverage, while maintaining high energy levels and penetrating the skin to reach the hair follicle 4mm below. The Sunetics Laser creates a uniform laser pattern that completely covers and saturates the scalp. Other devices create small, dime sized dots, which cannot cover the entire scalp. 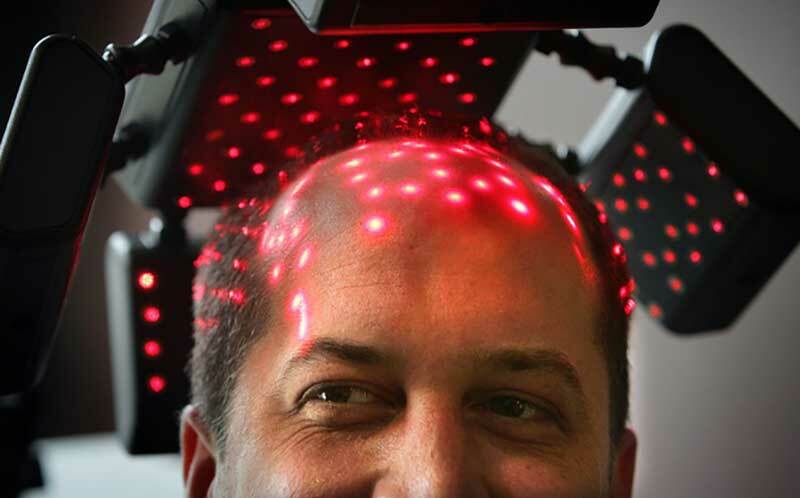 Sunetics laser dispersion spreads pure coherent laser energy over a large surface area for 100% full-scalp coverage! The Sunetics Hair Growth Laser is the first Clinical Laser to be FDA cleared to grow hair and treat hair loss in both men and women. In order for a device to be legally marketed to the public or medical professionals, it first needs to be approved by the FDA for safety and efficacy. Clearance for the device is based on an application submitted to the FDA by the manufacturer. This application is called a 510(k) application and includes any studies, safety information, and technical specifications needed as evidence that the device is both safe and effective for its intended use. The Sunetics Clinical Laser was approved by the FDA to treat Androgenetic Alopecia (Male and Female Pattern Baldness) in December of 2013. The FDA clearance number for the device is K132646. The Sunetics Clinical Laser is rated as an NSR (Non-Significant Risk) Class II medical device.